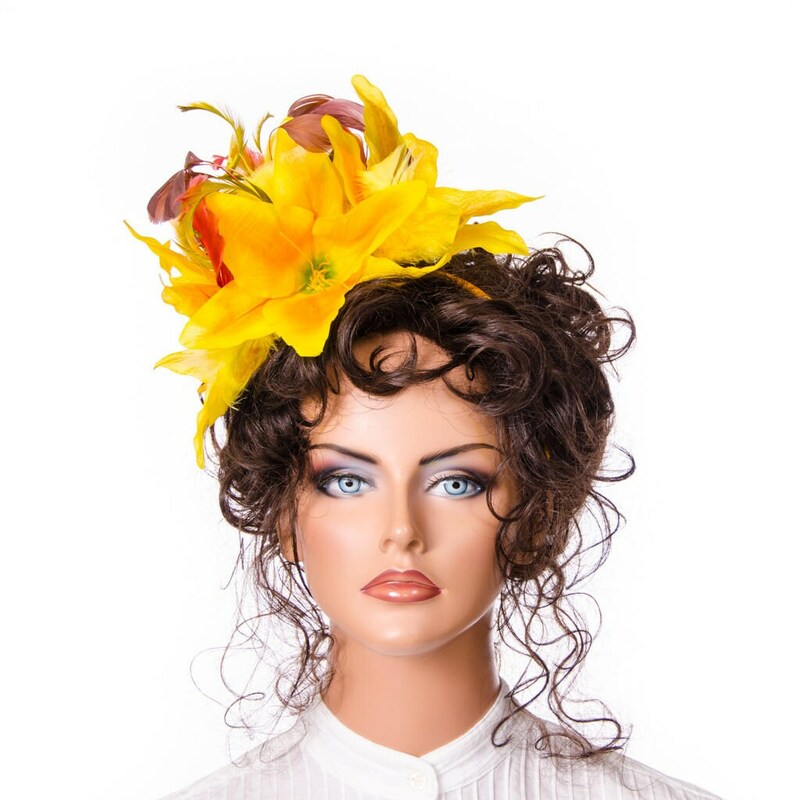 Yellow lily fascinator with feathers. 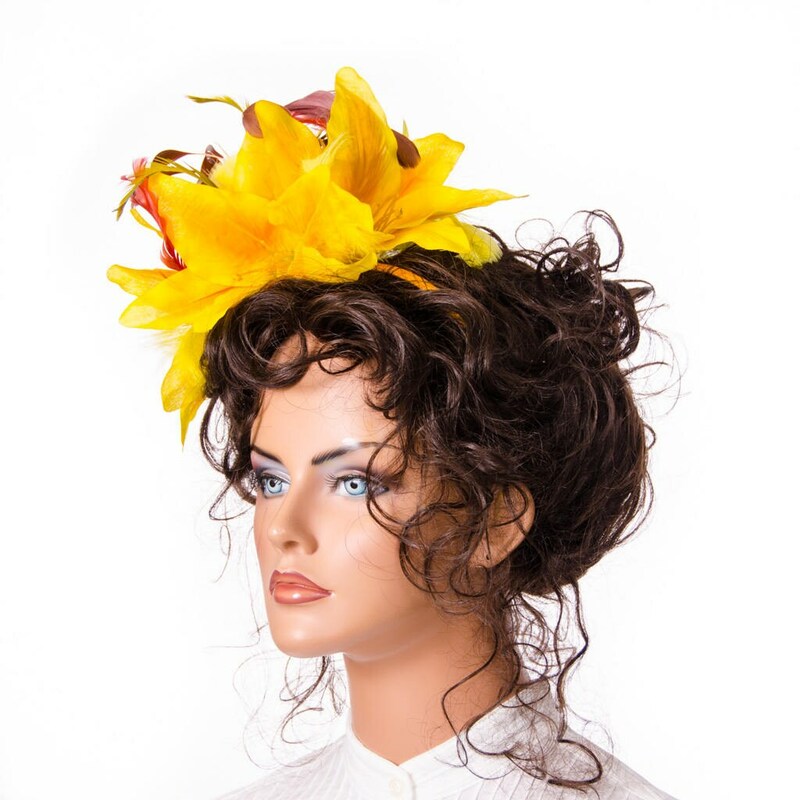 This headpiece is made up of 3 large lily flowers accented with lots of feathers. The feathers include biots, pointers, couques, marabou. 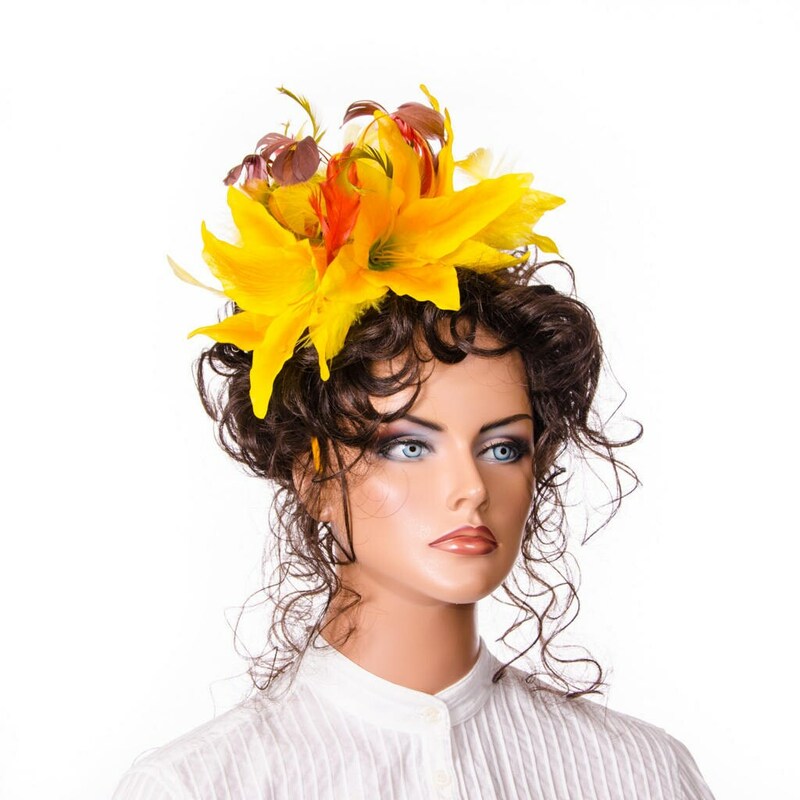 The lilies are across the front with a yellow marabou feather base to the side and rear, this is further trimmed with couques with accent colors in red, brown and gold with a few yellow pointers mixed in. To add extra movement and fascination, brown stripped couque tip and dark olive biots are add spiking out of the tops. 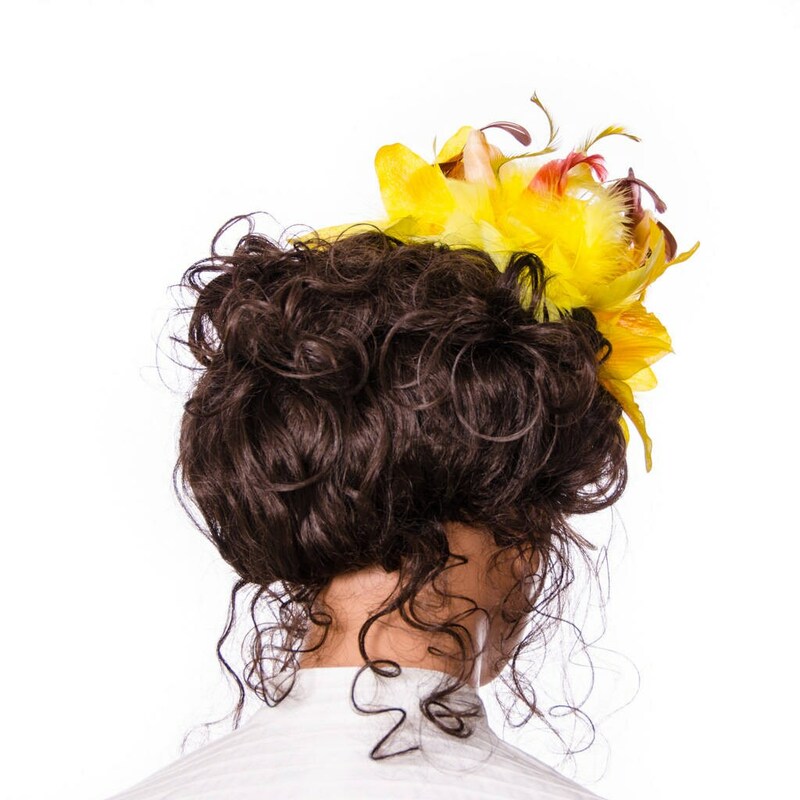 Most of the feathers are curled to add even more interest. 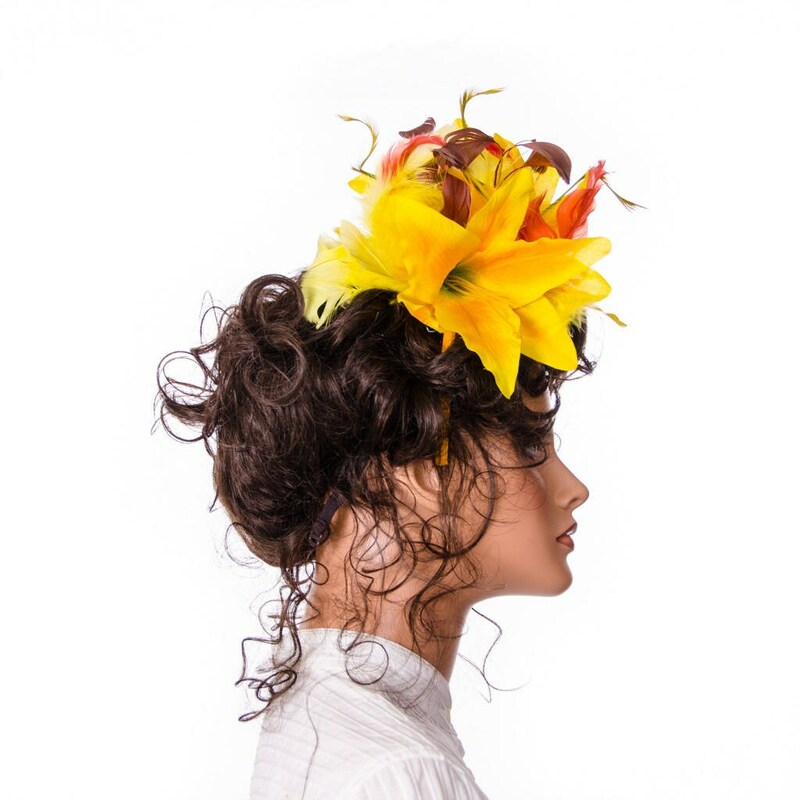 Perfect for festive occasions like weddings, racing, tea and garden parties. This hat is on a gold cloth cover alice headband with a felt pad.